Carol Dempster became a silent film actress and was a favorite of director D. W. Griffith. According to the 1900 Census, Carol was born in Minnesota in December of 1898. Later she often gave her birth date as December 9, 1900, and the place as Duluth. Her father, John W. Dempster, was born in Canada on July 5, 1857, and grew up in Michigan. Her mother, Carrie M. (Acker) Dempster, was born in Michigan in 1863. They were married in Ingham County, Michigan, on July 3, 1880. The family moved to Duluth around 1890. In Duluth, John worked at various jobs: as a dispatcher and watchman for Inman Tug Co., as a steward for Union Towing and Wrecking, and as a deputy sheriff and a travel agent. Their other children were Mildred Estelle, born on June 21, 1882; Don A., born on October 10, 1885; Howard St. Clair, born on February 2, 1889; and Ethel, born on September 19, 1890. The family lived at various addresses in Duluth, including 805 West Fourth Street and 1014 West Third Street. About 1904, the family moved to California, settling in Santa Maria, a town north of Los Angeles. John found work as a foreman at a paint company. About 1915, Carol was enrolled in the Denishawn School of Dancing and Related Arts in Los Angeles. The school had opened that same year, so she was an early student. In 1916, film director D. W. Griffith needed some girls to perform as dancers in his current project, Intolerance. He hired a group from the Denishawn School, including Carol. Griffith hired Carol again in 1918 to dance for the opening of his movie The Greatest Thing in Life in Los Angeles. Griffith reportedly became very fond of Carol and began finding roles for her in all his movies. She began with small roles in A Romance of Happy Valley (1919) and True Heart Susie (1919). Her first starring role was in The Love Flower (1920). During the 1920s, she appeared in Dream Street (1921), Sherlock Holmes (1922), One Exciting Night (1922), The White Rose (1923), America (1924), Isn’t Life Wonderful (1924), Sally of the Sawdust (1925), and That Royle Girl (1925). 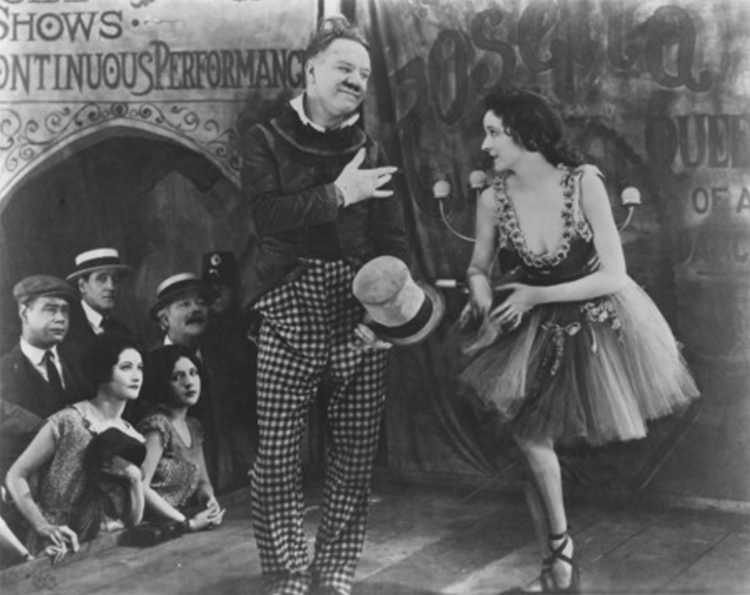 In the last two films, Carol starred with W. C. Fields. Her final film was The Sorrows of Satan (1926). In July 1929, Carol reportedly was scarred in an automobile accident in California. On August 15, 1929, Carol married wealthy investment banker Edwin Skinner Larsen at her country home in New York State. Edwin was a vice president of the investment banking house of P. N. Chapman & Co. and, like Carol’s siblings, was born in Michigan. They traveled to Europe for their honeymoon and she announced her retirement from acting. Carol and her husband lived in Connecticut and in an apartment in Manhattan. Later, they purchased a home in La Jolla, California. They had no children. Carol’s father John died in California on July 9, 1943. Her husband Edwin died on September 2, 1978. Carol died in La Jolla on February 1, 1991. Edwin and Carol had been generous supporters of the San Diego Museum of Art, and upon her death a $1.6 million bequest was given to the museum in their names. The museum named a gallery the Edwin S. and Carol Dempster Larsen Memorial Gallery in their honor.